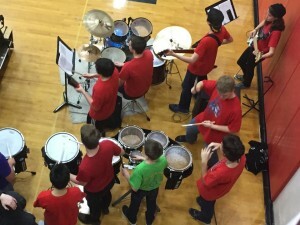 Pep Band provides entertainment for 10 home varsity basketball games (split between boys’ and girls’ teams) and travels to State playoffs. 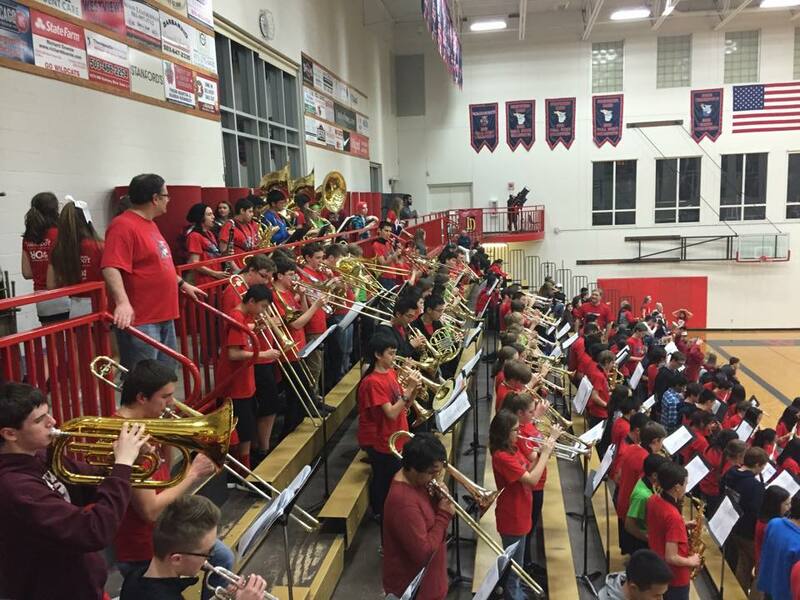 All students are expected to perform at 5 games as part of their class expectations (students will be assigned to 1 of 2 pep bands). 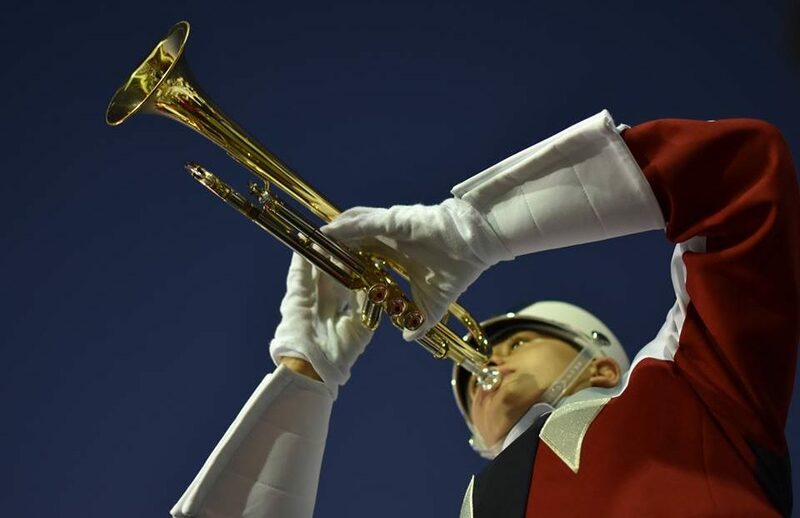 Students can earn points toward their Band Letter by performing with the Pep Band at 3 additional home games, for a total of 8 games. 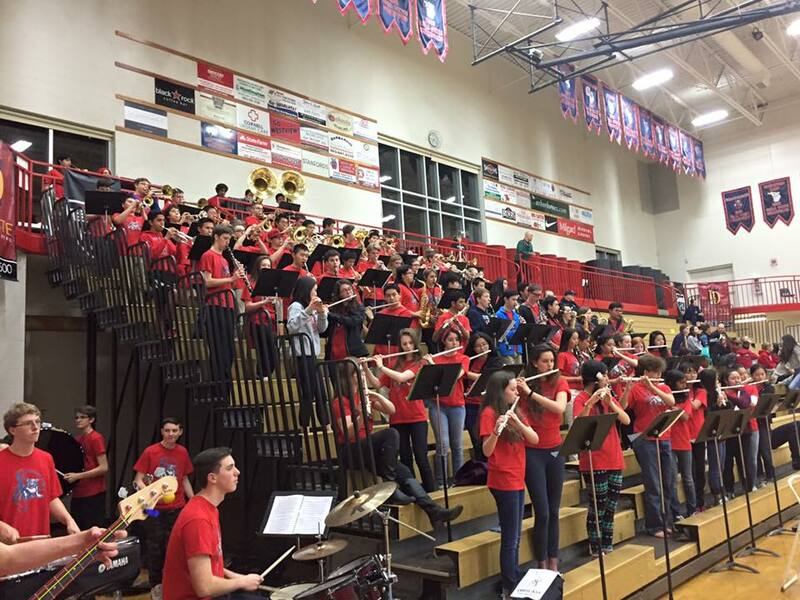 All band members are expected to participate in all basketball playoff games. The average time commitment is roughly 2 hours once – sometimes twice – per week, in the evening, throughout January and February with playoffs running into March.